Recently, outgoing US ambassador, Perry Holloway, met with a number of media personnel as part of his final engagements before departing Guyana. He left two Saturdays ago. Holloway sharpened his teeth on the fight against narcotics trafficking in Latin America, before being posted to Guyana. He was grilled by reporters on the oil contract with ExxonMobil, the local political climate, extraditions and other topical issues. Currently, there is a major case which is ongoing, involving Guyana-born, New York-based businessman, Marcus Bisram. The case is significant in many respects. I can’t remember, during my time in the media, when a US citizen was ever sent back. 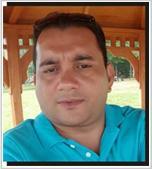 Bisram is wanted in Guyana to face a murder charge. Quite a few Guyanese ended up in US jails because of extraditions. It would spell a shift in relations between US and Guyana. According to Holloway, during his campaign on the anti-narcotic front, he had seen the use of extraditions as a tool to tackle trans-national crime. Significantly, what Holloway said after, and that is what I want discuss, is what should have us taking notice. The ambassador noted that in the past there was little fear when these trans-national crimes were committed across a number of other countries. However, new laws on anti-money laundering and extraditions are here, and there will be more such requests from countries that want to prosecute. This would hold true for other crimes, the official hinted. It would indeed be worrying news for persons who believe that they can stay here while they conduct illegal transactions and stash their proceeds abroad. Extraditions will be used more. The warning would be a grim reminder that things have changed. We have had accusations of public office holders who have laundered their proceeds in properties and in bank accounts abroad. We can look at many cases from Malaysia and other countries, where top leaders and their families are being investigated, and monies and bank accounts seized. The exposure and public humility that came from those revelations have attracted global attention. There was a time when the US turned a blind eye on large sums of money leaving Guyana. While it was not being declared here, it had to be recorded at the US ports, like at the airports. Nobody wanted to take a chance of not declaring at those ports. The US authorities are reportedly sharing this information with local authorities. The US knows the transactions. It appears that some businesses would not declare their income here to avoid scrutiny and the tax man. We come to the local situation. It is harder to hide money in the local banks. New regulations call for more reporting of suspicious transactions. It has become harder also for local banks to do business with correspondent banks. You depend on them to send and receive money, and conduct other transactions overseas for our local businesses and individuals. Demerara Bank, for example, does not have a branch overseas. It has to establish a relation with an overseas bank – known as a correspondent bank. There is a significant cost incurred by banks to put systems in place and then continue monitoring suspicious transactions. But they must do just that…the laws say so. We know of cases where overseas banks just stopped doing business with our local ones because it is too expensive and risky. It is a warning to politicians and would-be ones who think public office is a get-rich place. You can collect kickbacks, but more than likely you can’t put it in the banks. A hole in the ground would be a better bet. Or under the mattress. Local authorities can even now visit the safe deposit boxes if they are convinced that ill-gotten proceeds or evidence has been hidden there. No bank wants to be accused of colluding with persons or businesses in laundering money. So yes, the bottom line is that once the money is in the system, it can be tracked. So unless you want to collect and keep millions in cash, laundering the proceeds through the bank is not such a good idea anymore.